This is the second release in a series of at least 4 projects, coming over the next week. First release was here. The libili9225 is a C-library with which you can controll ILI9225 based displays. 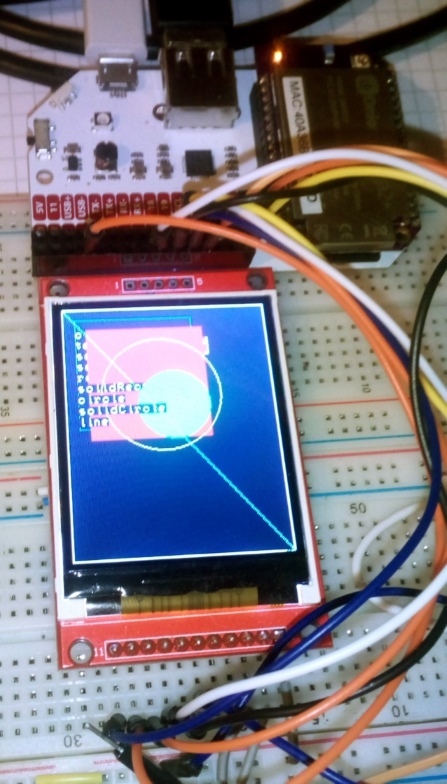 The library works mostly on the local framebuffer and transfers it to the display via a ILI9225_CopyFramebuffer() call to the display. colors might be drawn wrong (in particular, the MSB of the red value every 8 pixels). This is due to a bug in the Onion's SPI interface. drawing is extremely slow. 1 - 2FPS slow. This is due to the SPI driver only accepting transfers of at maximum 16 bytes, whereas the framebuffer is about 76 kilobytes big. The ESP32 (240 MHz CPU) can do 60 FPS with a 40MHz DMA-backed SPI driver. However, if you just need your Omega2(+) to display some simple, slow-changing graphics on a 5 US dollar, 176x220, 16-bit color display, this library is your friend.